What a truly fantastic week to be a New Hampshire Democrat!In the face of overwhelming odds, we regained control of the US House through the election of Chris Pappas and the re-election of Congresswoman Annie Kuster. We also gained control of the Executive Council, the State Senate, and the State House! And while Molly Kelly won’t be sitting in the Corner Office next year, her campaign cut off Sununu’s coattails and helped pave the way for our many historic gains up and down the ticket. Thank you for everything each of you did to make these victories a reality. The doors we knocked, the calls we made, the letters we wrote, and the signs we held all made a difference. And with these new majorities, Democrats have the power to implement legislation that will help all Granite Staters have the opportunity to succeed! Please continue to use this newsletter as a tool for your local committee meetings or as a supplement to your own newsletter. As always, don’t hesitate to reach out to us with any questions you may have. who were managed by 7 Regional Organizing Directors. 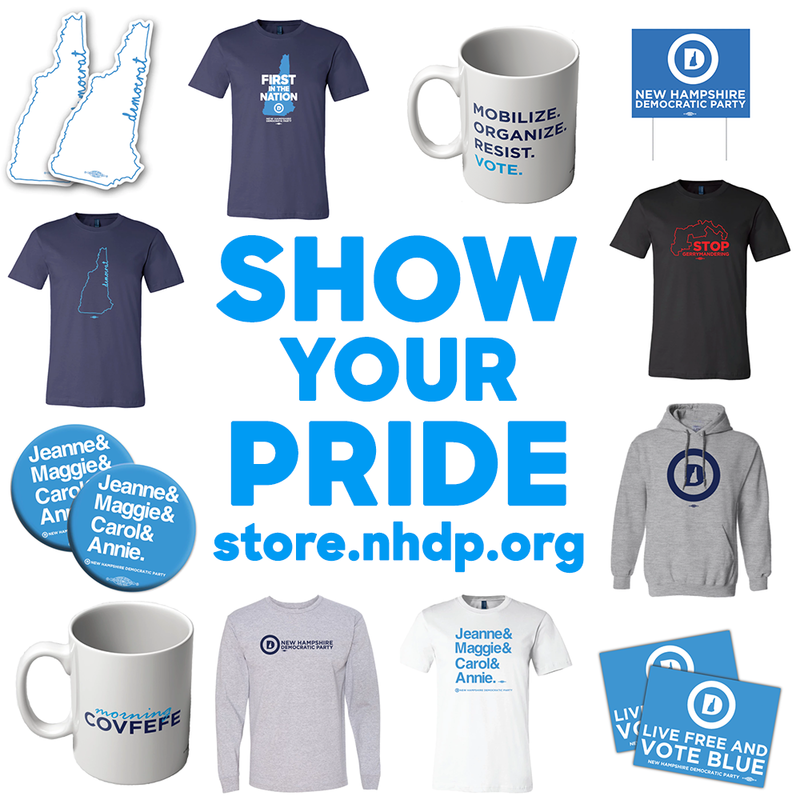 Click HERE to buy your NHDP swag today! Check out some coverage from our incredible victories last Tuesday!